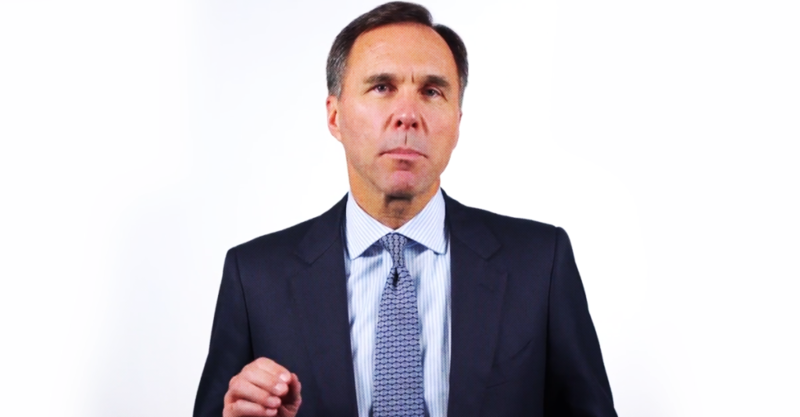 Bill Morneau Says Canadians Are Seeing the ‘Strongest Wage Growth’ in Years. The Data Shows That’s Not True. Finance Minister Bill Morneau is claiming Canadian workers are currently seeing the “strongest wage growth” in years, but his own data tells a different story. Except these claims are based on very selective reading of the data – a closer look at Morneau’s own numbers show real wages aren’t growing as quickly as he suggests. One chart included in a Fall Economic Statement background document shows wage increases actually fell during the Liberals’ first year in government, dipping below 0.5% in July 2016, before rebounding, but not by much. The chart shows that increases in average weekly earnings didn’t stretch above 2% until midway through 2017. Inflation in Canada typically runs at around 2%, meaning any wage increases at or below 2% amount to a loss in real terms. In other words, for most of Morneau’s time as finance minister, wages for Canadian workers have not kept pace with inflation. A report from the Bank of Canada last month throws more cold water on Morneau’s exaggerated claims. In its October report, the bank recorded inflation at 2.7% in the third quarter of 2018, but inflation is expected to drop back to 2% in the first quarter of 2019. “Wages, as quantified by the wage-common, were rising at 2.3 per cent in the second quarter and have been increasing at about that rate since the beginning of 2017,” the Bank of Canada report states. The bank’s data shows wages increased in 2016, before levelling off in 2017 and 2018. With inflation recently running just above 2%, this means real wages are actually stagnating. According to Statistics Canada, average hourly wage rates have increased by 6.5% since the Liberal government took office in October 2015 until October 2018. Median hourly wages rose by only 4.9% from $22 to $23.08 over three years. Over this period (September 2015 to September 2018), inflation has been 5.2%. This means in 3 years, that real median hourly wages actually fell by 0.3%, while real hourly average wages increased by a modest 1.3%. Meanwhile, as wages are stagnating, costs of living are going up. The average costs of housing and shelter have increased by 2.4% between October 2017 to October 2018, Statistics Canada notes. Bill Morneau Announced a Plan to Provide Meals to Low-Income School Children. The Plan Has No Funding. 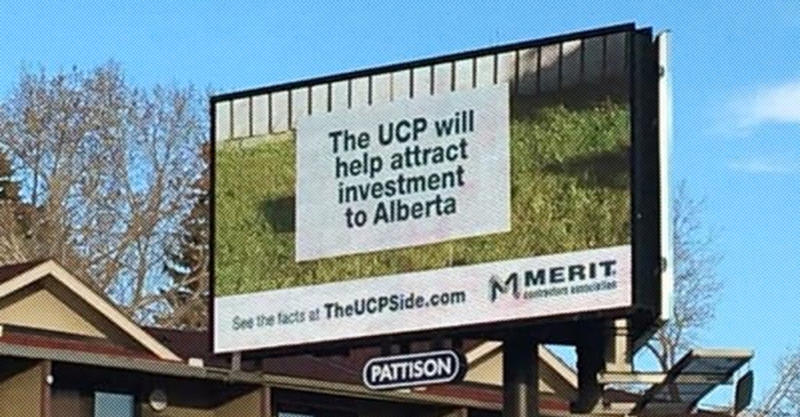 One of Canada’s biggest anti-labour groups has launched a major advertising blitz in support of Jason Kenney’s United Conservative Party. Merit Alberta, a lobby group representing non-unionized construction companies who want to change the law to force construction workers to “work longer days,” is erecting billboards and running online ads across Alberta supporting Kenney’s UCP.